What you will find when you arrive? In addition to premium home features such as heated pools and spas, themed children’s rooms, game rooms and home theaters, guests enjoy plenty of standard vacation home amenities while staying in a VillaDirect rental. Because at VillaDirect we go the extra mile to ensure that all the comforts and security of home are provided… Even while you’re on vacation. Below you’ll also find some of the standard amenities that can be found in every VillaDirect home. A key-less lock system is installed to every home we offer. During check-in, guests are given a unique key-code, generated specifically for the length of time of your stay. There’s no need to return a key card or keys to the office when you leave. Just close the door on your departure date and leave to go home again. Finally, the door locks will automatically reset after the scheduled departure time. All of our homes feature free local and long distance calls (continental USA and Canada). For specific call plans provided, please speak to a Guest Services representative. Almost all of VillaDirect’s vacation rentals feature free high-speed WiFi access. The property listing also shows if the unit includes free WiFi. VillaDirect also offers MiFi high-speed internet hubs for rent, which can be used everywhere from the home to the parks. Every VillaDirect vacation rental enjoys a full-size kitchen, equipped with all the appliances and cookware needed to make a family meal. Appliances include a stove and oven, microwave, dishwasher, toaster, coffee maker and blender. Cookware includes an assortment of cutlery, dishes, pots and pans. All VillaDirect Orlando vacation rentals include full-size washers and dryers as well as a starter pack of laundry detergent so that our guests can also save some room in their suitcase. From 2-bedroom vacation condos to 9-bedroom luxury vacation pool homes, another feature is that every rental is provided with fresh towels and clean bed linens. Fresh kitchen towels, trash liners, dish-washing and laundry detergent, toilet tissue and body soap are all provided free of charge. The amounts provided are intended for an initial supply, while guests are expected to replenish items for their own use during their stay. 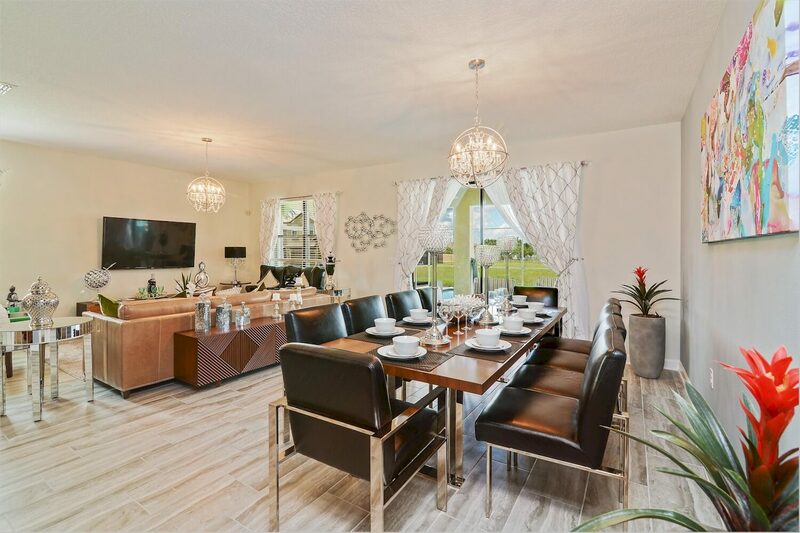 Florida is known for its warm climate, which is why all VillaDirect vacation homes come equipped with central air conditioning and heating to ensure that each guest remains comfortable during their stay. Before their arrival, the AC in each home is also set to a comfortable level for guests to enjoy.